Thank you for organising such a great evening. I felt so privileged to get a sneak peek at the rehearsals, the dialogue between the conductor and the singers. 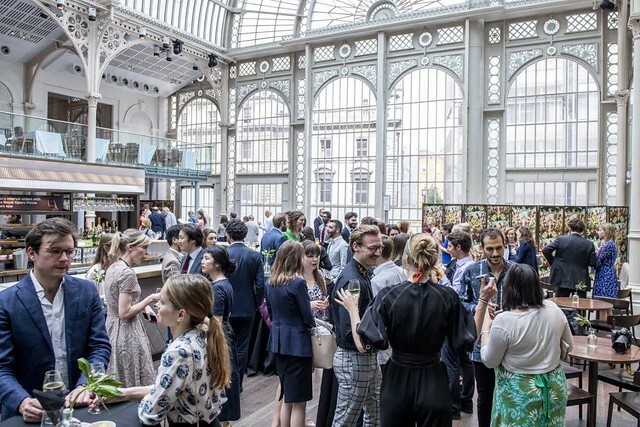 ROH Young Philanthropists is a philanthropic initiative for young opera and ballet lovers who wish to become more closely involved in the work of The Royal Opera and The Royal Ballet. Supporters can enjoy the magical world behind the scenes at the Royal Opera House with like-minded individuals with involvement based around stage rehearsals, performances and the great artistry of ROH creatives. It also offers supporters exciting opportunities to meet artists and members of The Royal Opera and The Royal Ballet. Philanthropic support of the Royal Opera House underpins the exceptional world class art on stage which simply couldn’t be done without the generosity of individuals. Philanthropy can be hugely rewarding and the Young Philanthropists programme encourages many to begin their philanthropic journey. Through events across many aspects of our work, we look forward to sharing with you how valuable financial support is to producing great art. This Season, ROH Young Philanthropists will support David McVicar’s theatrical spectacle Faust. Supporters are kindly invited to make an annual philanthropic gift. Please note your donation may be eligible for gift aid and employees may offer a Payroll Giving scheme. For more information, please contact Jessica Rigby on +44 (0)20 7212 9587 or jessica.rigby@roh.org.uk. We look forward to welcoming you to our extraordinary world. *Tickets and dinner are in addition to any gift, payments must be made prior to the event. Please note rehearsals are subject to the discretion of stage management and The Royal Opera and The Royal Ballet and may be subject to change.